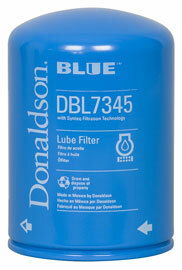 Donaldson Company, Inc. is a leading worldwide provider of filtration systems and replacement parts. Founded in 1915, Donaldson is a technology-driven company committed to satisfying customer needs for filtration solutions through innovative research and development. Donaldson serves customers in the industrial and engine markets including contamination control in fluid power systems, bulk fuel and lube filtration, in-plant air cleaning, compressed air and gas purification, power generation, disk drive and microelectronics filtration, off-road equipment and trucks. Our 10,000 employees contribute to the company's success at over 30 manufacturing locations around the world. Donaldson is a member of the S&P MidCap 400 Index and Donaldson shares are traded on the New York Stock Exchange under the symbol DCI. Additional company information is available at www.donaldson.com.